Seoul, South Korea, is a fascinating city filled with thriving life, tasty cuisine and rich traditional Korean culture mixed within. In the midst of modern skyscrapers, trendy shopping malls and high tech smart phones is a traditional section of Seoul that has been designated as an area of cultural preservation. 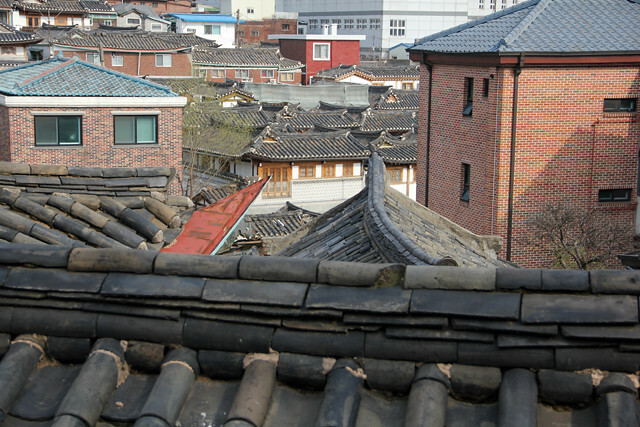 A “hanok” is the term used for a traditional Korean home while “Bukchon” is the name of the village which lies to the north of some of the most famous landmarks within Seoul. Though it's not quite the same experience of being in the countryside visiting a local village like Batwa, strolling through Bukchon Hanok village, which is in some parts 600 years old, presents a great opportunity to learn about the history and culture of Seoul. 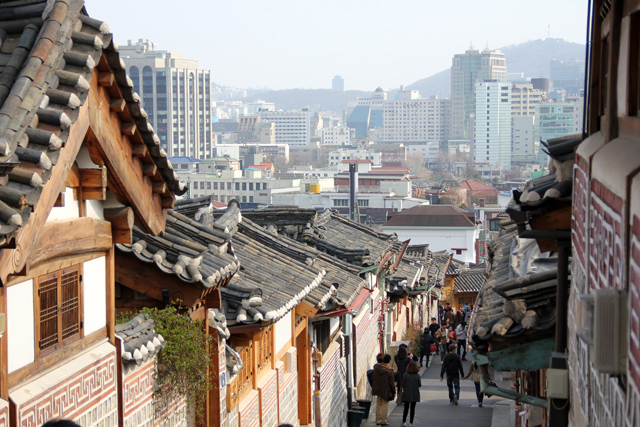 Due to an abundance of both foreign and local Korean tourists visiting Bukchon on a daily basis, the village is well organized and easy to navigate. After arriving I picked up a free map of the village at the central tourism information office. The map showed almost the entire village and plotted a walking route that highlighted a number of strategic viewpoints. The walk went up and down hills, through small alleyways and pointed out some great panoramic views of the village and city, as well as a glimpse into the architectural construction of the village. The day I went, there were also thousands of Koreans out for a walk, enjoying the scenery and snapping just as many (or probably more) photos as first time tourists. Overall the walk circumference around the village took about 2 hours to complete at a comfortable pace and it was one of my most memorable afternoons in Seoul. On the streets of the village closer to the main road approaching Insadong and the Anguk subway station, there's a large selection of cafe's and restaurants serving everything from traditional Korean food to Italian food and modern fusion cuisine. Some restaurants appeared to be extremely famous with Seoulites lining up waiting to eat. 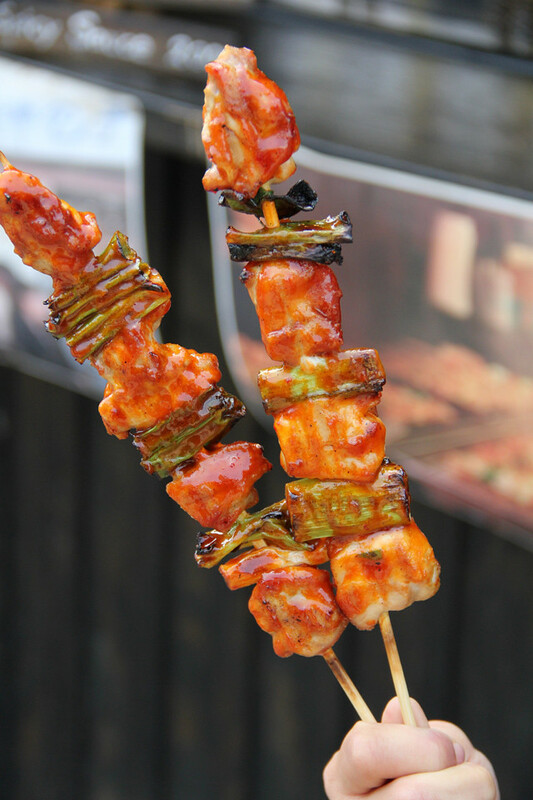 As I walked around Bukchon Hanok, I couldn't help but sample a few of the most tempting street snacks like the skewers of juicy chicken lathered in Korean tomato chili barbecue sauce known as dakkochi (pictured above). As a cultural heritage center of Seoul, instead of just walking around the village, there are also a number of ways to explore it on a more in-depth level. One of those ways is to actually stay in the village and experience the traditional Korean style of accommodation. There are a number of guest houses where you can book a hanok homestay which not only includes a place to sleep for the night, but also a wonderful cultural experience. Another way to experience the rich South Korean culture is to sign up for a traditional tea drinking ceremony (tea was originally reserved for the privileged in Korea), a Korean cooking class, or even a lesson on making kimchi – one of the foundations of Korean cuisine. 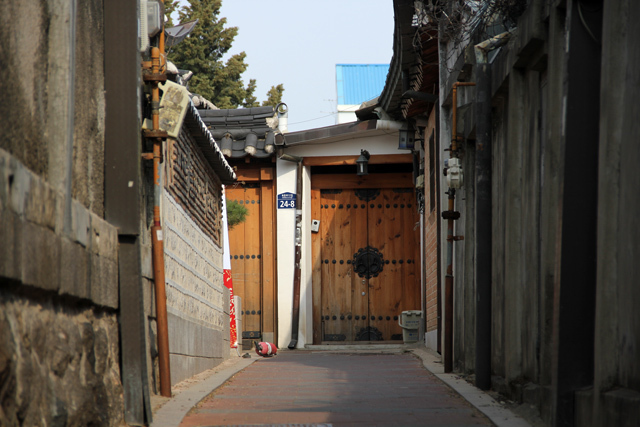 If you choose to just walk around the village (like I did), stay for a few nights, or take a Korean cultural course, visiting Seoul's Bukchon Hanok village is a throwback in time and an interesting peek into the traditional Korean way of living. It’s great to know that you can still experience traditional Korea right in Seoul. The village looks fascinating! but how to go there?